Abenomics is the name given to a suite of measures introduced by Japanese prime minister Shinzo Abe after his December 2012 re-election to the post he last held in 2007. His aim was to revive the sluggish economy with "three arrows": a massive fiscal stimulus, more aggressive monetary easing from the Bank of Japan, and structural reforms to boost Japan's competitiveness. By the end of February the measures had resulted in a dramatic weakening of the yen and a 22 per cent rise in the Topix stock market index since his election win. Japan's central bank had also yielded to pressure from Mr Abe's administration to set an inflation target of 2 per cent. An FT columnist commented that the boost contributed by a cheaper yen might be artificial. Overseas investors might also demand to be compensated for the risk on the currency side. There are concerns that the spending policies could be ill-conceived like previous infrastructural projects undertaken during past governments with stimulative policies. Inflation could also have the added unwanted effect of reducing consumption. In March 2013, an FT writer commented that Abenomics could be catching on with some employers who had awarded wage rises and bonuses. 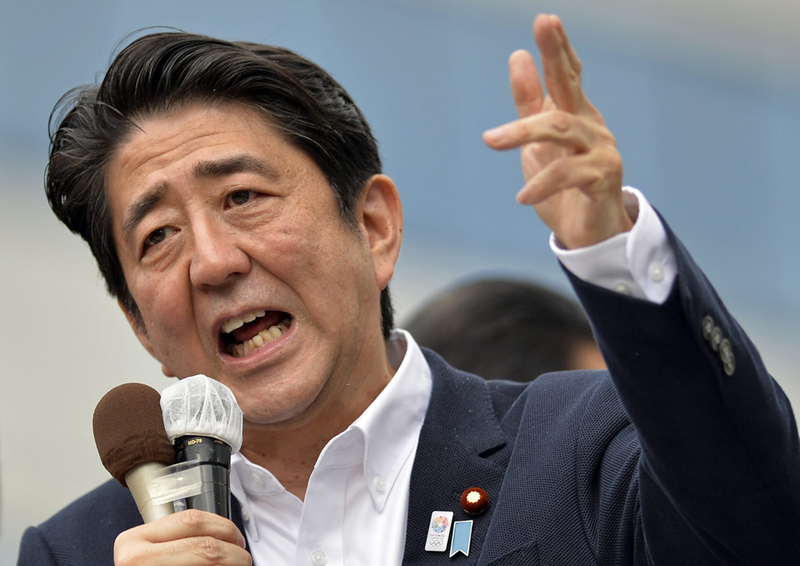 One of the key tenets of prime minister Abe's reforms is the need for wage growth. In June 2013, the so-called "third arrow" fired by Shinzo Abe aimed at bringing structural reforms to the economy, left investors disappointed. One FT columnist wrote that the heart had been ripped out of the Abenomics trade as Japanese stocks fell back into a bear market. But it was also reported that Abenomics had helped Japanese regain their appetite for luxury spending. In October 2013, in an interview with the Financial Times, Shinzo Abe defended his "buy my Abenomics" speech which he made to the New York Stock Exchange in September 2013. He declared he was on track and ready to pursue his "third arrow" – a growth strategy to complement the first two arrows of monetary expansion and fiscal flexibility – in more depth.